Good morning playground enthusiasts! After being gone for a wedding and honeymoon I am back in full blogging force! 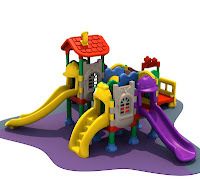 To get us back in the blogging groove, I am going to feature a product that is great for early childhood centers. The ChildCenter 6 is part of our ChildCenter series. There are six different designs in the series, and what makes the ChildCenter 6 unique is that is combines features of the other designs to create one large unit. The ChildCenter 6 is an affordable unit that will keep children busy! The unit features three slides, a connecting tube, and several interactive panels! 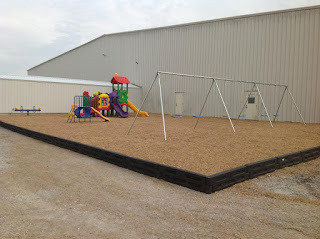 Vibrant colors make this unit perfect for your childcare center. Check out the photo below of a recent install in Harrisburg, IL that featured a ChildCenter 6!